Home Made Beauty Tips Health Herbal Beauty Tips What's wrong with ginger? Ginger, everyone is sure to know, but maybe not so deep. It is better if you listen on about the benefits of ginger optimally. Ginger is very beneficial, often used as seasoning. Spicy ginger taste on the tongue, this is because they contain compounds ketone (zingeron). Well .. 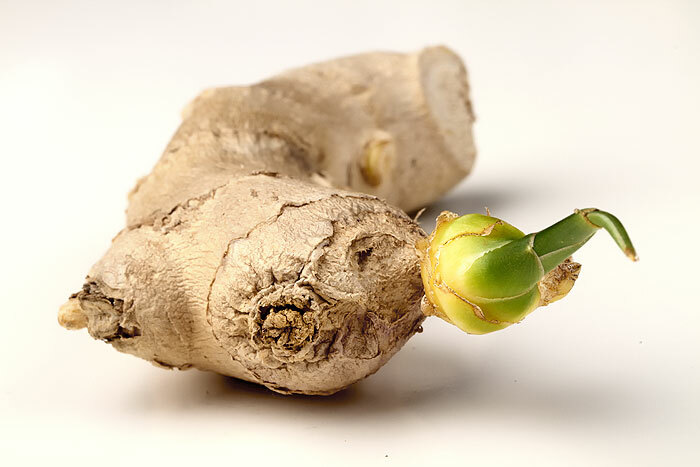 In fact, many large companies that include ginger as one of the ingredients known companies. We are at home as well as the frequent use of ginger body warmers. When the cold air we take enough then wash ginger, peeled clean, then sliced​​, then pour the boiling water add rock sugar or honey, other than it tastes good, it can also make warm body and treating colds, substances contained by ginger include: essential oils zingiberena, zingiberol, bisabolena, kurkumen, gingerol, filandrena and bitter resin. 1. As a reliever flu, colds and headaches. Take fresh ginger (500 g). Fresh ginger is then sliced ​​and boiled in hot water for 20 minutes, then add brown sugar (100 grams), and then drink 4 to 5 times a day. Many people have used this recipe and recover from flu and colds. boil ginger with boiling water to make ginger tea. In the presentation added honey, sliced ​​oranges or lemons. Can also to make candy. Or it could be a foot soak up ankle ginger in hot water. Add vinegar and salt and gradually add warm water continuously. Soak up the foot turn red, this method is very good for relieving headache and cough. Rinse the mouth with warm ginger water in the morning and evening. If your throat feels sore or itchy, add warm ginger and salt and use it 2-3 times a day. Rinse the mouth with warm ginger was at a time when the morning and evening. Drink ginger ale as a daily drink can help prevent and relieve the symptoms. You do this by soaking hands in warm ginger water for 15 minutes. Drinking warm ginger water. When drunk, ginger water will increase circulation to help remove ethanol from the body. Can also add honey let more delicious. Wash your face with warm ginger water in the morning and evening. This method can be used to eliminate dark spots and dry skin. Rub raw ginger into the hair. Then rinse with warm ginger water. This method can also help prevent hair loss. In China, they use warm water to wash their hair with ginger. Much has been proved in this way and get good results. 3. Treating Pain Waist and Backs. You do this by adding a little salt and vinegar to a warm ginger water. Soak a towel with water. Then rinse and paste it in a place that feels pain. Repeat a few times. 4. Slimming tummy after childbirth. Take 3 tablespoons of rice, and then dry for 3 hours. 125 grams of brown sugar, little turmeric, a tablespoon of tamarind, ginger slices and pandan leaves in 3 cups of water. strain the herbs. boiled ginger powder, turmeric's rice. after all smooth, pour boiling water little by little to the spice. strain the concoction with a clean thin cloth and squeeze the lime. Add salt to taste. Drink this mixture regularly, if less sweet can add sugar. Add salt and vinegar to a warm ginger water. Soak feet for 15 minutes. Then dry feet with towel and sprinkle talcum powder.